When Tomorrow Calls: The Complete Boxed Set is now available - don't blink, or you'll miss it. Why You Were Taken (Audiobook 1): Imagine discovering your murdered parents were really your abductors. Then you find out you're on the hit list, too. In tomorrow's world, a troubled woman approaches Kirsten with a warning and a wafer key and is later found dead. Was she just another victim of the suicide contagion, or is there something more sinister at play? The key leads Kirsten on a chase to the doomsday seed vault and a hit list of seven people - and her barcode is on it. How We Found You (Audiobook 2): Would you sacrifice your son to save your daughter? There's something different about Kate's four-year-old son. He wasn't created the old-fashioned way. Now a violent cult wants him dead and Kate will do anything to protect him - until they take her daughter. Who will she choose to live, and who will she have to sacrifice? Glimpse JT Lawrence's chilling vision of the all-too-near future in this dark psychological thriller with a twist that will send you reeling. How We Found You is the second audiobook in the riveting series When Tomorrow Calls. What Have We Done (Audiobook 3): In tomorrow's world, where the edges blur between addictive virtual reality and real life, would you hurt your daughter if it was the only way to set her free? Cyberpunk meets the robopocalypse on the edge of litRPG in this dark dystopian thriller. 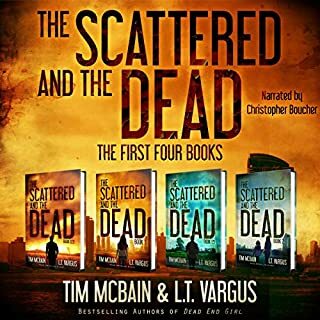 Jack in and get ready for your head to explode with this third audiobook in the riveting series When Tomorrow Calls. Ready? Your next addiction starts now. Normally I do not like to listen to a series since it takes a great deal of time. But sometimes you have an opportunity to consume a creative and interesting story with characters that you care about. The vision of our future and the fear that Computers and or its offshoots Robots or Androids or AI beings will run amok and endanger Earth or the entire Cosmos is of course nothing new. In other words enjoy this series from a South African Narrator and Writer who know a thing or two about futures that go wrong. I'm only about halfway through the series but have really enjoyed it so far. As other reviewers have stated, it has kept me on the edge of my seat. 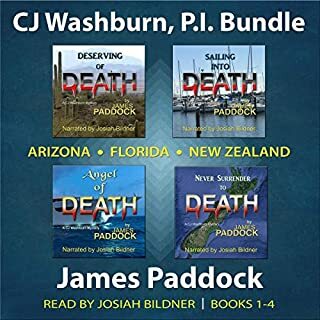 The stories are fast-paced and the author does a great job of spinning together the details and peeling back the layers of the underlying conspiracy. The writing style and arc of the story reminded me quite a bit of "Artifact" by Vaughn Heppner and Logan White, in case you might have read that one. There were a couple parts in the first book where I thought the narrative lost track or jumped too quickly. I was also slightly dissatisfied with the final confrontation with the antagonist. It felt like he was given his quintessential monologue, and that was it. There were some really interesting concepts about population control and corporate power that I wish the author had delved into and played with a little longer. One of my favorite aspects of sci-fi is the exploration of ethical and philosophical issues, and I wish there had been just a little more of that, at least in the first book. Overall, I think JT Lawrence has created some interesting and entertaining work. She has some great potential and I look forward to reading/listening to more of her work. I should note that I was provided a free copy of this audiobook at my request and have voluntarily left this review. The only reason I give this story 4 stars is because it was slow to get going and I almost exchanged the book. However, about 45 minutes in I couldn't stop listening. I'm very glad I decided to stick with it. 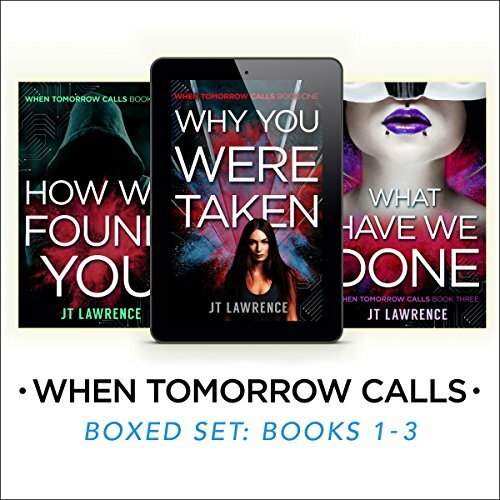 When Tomorrow Calls: Complete Boxed Set: Books 1-3 by J.T. Lawrence was another great read by the author. The book consisted of Why You Were Taken, How We Found You and What Have We Done. This story followed Kate, her two children, Seth and Keke. I enjoyed reading this book. Seriously this was a great set!! I was hooked from the beginning! The story line is so original. The books are well written and the characters are well developed. You really feel invested in these characters. I just had no idea what was going to happen! The quirky main characters have a special friendship and they pick up more along their journey. I found myself wishing that my morning and evening commutes were just a bit longer so that I could keep listening! LOL I would highly recommend this box set to anyone looking for a story about friendship in the face of adversity. This set is full of action and suspense! With the last book ending in a total surprise! Woah!! Following clues to figuring out why her name is on a list and why her murdered parents were not her biological parents which leads to meeting the others on the list which just results in more questions than actual answers. is obviously a older more grown Kristen and by thus time she has something valuable to almost any women and man around her age which is exploited . 12 years after book 2 the IT world they are surrounded in is completely a way of living and tetrament to daily life these days which of course I'll involves yes her daughter! Stay tuned by listening to this series and be sure to pay attention! Yes! We need more African cyberpunk stories! I’m thoroughly enjoying this series! The prequel gave us a taste of what was possible from these characters and setting. Kirsten and Keke make a great team. They are both dedicated journalists and each has a history of being in dangerous situations. Set in a near future South Africa, showers & swimming pools are practically unheard of, the fertility rate has plummeted, and paper communications (like printed receipts, etc.) are practically unheard of. Yet tech has continued to progress. I loved this aspect of the book! Keke has a tattoo that changes colors with her insulin levels, letting her know when she needs a shot. Some people have implants tied to a small tablet (called a tile) for all their communication stuff and more. There are several flashbacks sprinkled through out the story. It did take me a while to realize that they were flashbacks. I know I should have picked up on that sooner, I just thought this flashback character had some fascination with the 1990s. Anyway, the flashback storyline turns out to be very important for our main characters and over all, I liked it. All told, 4.5/5 stars. This was a pretty good sequel though if you picked it up without Book 1, you could read it as a standalone. Kate (aka Kirsten) is raising her two kids (Silver & Mally) with her brother Seth and their very good friend Keke. She knows that Mally is special and she has her guesses as to why but she’s not sure what to do with it. Pretty soon, it becomes apparent that someone is after one or both of her kids and she has to unravel the mystery she walked away from 4 years ago in order to save them. Sometimes I loved Kate and sometimes she was tedious. Even though I understand why she’s stressed out and sometimes loses her temper and wits, I still wanted to give her a small slap to bring her back to reality. Freaking out isn’t going to keep anyone safe and it did create a few lags in the story. I still find Kate’s synethesia fascinating and so many of the side characters are great, including the new guy Zach. Keke is my true fascination. I want to be her side kick! So I was a little sad to see how limited her role was in this book. The plot is wrapped around a prophecy that has the kids caught up in it. I really enjoyed how this unfolded. 4.5/5 stars. Wow! What a mind trip! This tale opens several years after the ending of Book 2 but there’s plenty of things in this story that refer to earlier books in the series so it wouldn’t make a stand alone book. Mally and Silver are both nearly 16 and they have grown up in a very different world than their mother Kate (who is a self-imposed technosaur). For the first half of the book, we’re really just getting to know the tech of the day and catching up with the characters we’ve fallen in love with along the way. Keke is still my favorite character. She’s got a bigger role in this novel than she had in Book 2 (yay!). Marko, her friend with benefits/non-exclusive significant other, has run off to an ashram in India and Keke is a little heartsick over it, not knowing if he will ever return. Meanwhile, Seth (Kate’s twin brother) has stuck around to help raise the kids and he still has this torch burning for Keke. By the end of this book, I think he might be a great fit for her even if she’s still pining for Marko. Kate herself is trying to be a good mom but two rebellious kids in a world filled with tech that Kate doesn’t fully understand makes things difficult. Zack has been doing hard time at SkyRest for all those pesky murders in Book 2. OK, so robots are everywhere and doing everything for humans in this near future South Africa. Some robots are strictly service bots with no AI and then there’s a whole range of AI in the more complex bots. Some bots have rights and some don’t. Like sexually harassing a lingerie bot is illegal but is only referred to as interference and doesn’t carry the same weight as such an act against a human. There’s those that are fighting for equal rights for the bots and there’s those that don’t want any rights for the bots. Then a few bots loose their crap and people die. Runawayrunawayrunaway! The ending gives us a big mindscrew. Yep. Oh my! I loved it because it means our heroes have to take a big leap. 4.5/5 stars. Roshina Ratnam is phenomenal with this series. I’m loving her narration and really appreciate the skill she brings to the table. This tale is set in a near future South Africa and there’s several African accents. I’m completely untutored in African languages but Ratnam was made it possible for me to hear the differences in the various accents (for example, Zulu and Nigerian). She also did a great job with Kate’s wildly swinging emotions (as needed), Seth’s fear & determination, Keke’s deep concern, and Marko’s intense fear. She had perfect little kid voices for Mally and Silver. 5/5 stars. 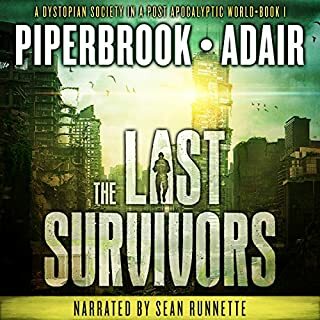 The 27 and a half hour run time for the Audible version seemed like a long time to dedicate to one story - and there's no doubt, once you get into it that this IS just one story - so I decided I'd break it up into the three parts and take a break between segments. I did, but once I finished the first story, I found myself anxious to get back to the second book, just to find out what was going to happen next. Lawrence has woven a complex and fascinating near future South Africa that most of the time seems almost familiar ... and then you'll start a new chapter, and suddenly, it's nothing you've even imagined. Every time you think you've got it all figured out, the tale throws another curve at you and you get pulled along with the characters, plunging down that next slope into a whole new mess to figure out and, when you finally get to the end of the third book, you'll find one of those rare "I sure didn't see that coming" endings that's will leave your head spinning. I loved all the characters in this series:Keke and Kate, Seth, the twins and all the rest. They're strong and determined and just "off" enough to remind you that this isn't your 2018 world they're living in. Don't let the long run time bother you. Those hours will fly by with this one, and when you finish, you'll wish there was more. Such a fascinating series! Grabs you from the start with extremely descriptive world building so you can see the action as it unfolds in front of you. I became completely invested in the characters and found myself listening whenever possible - this was a case of hurry up I want to know what is going to happen but slow down and cherish each moment at the same time. The narrator was greta bringing the story and characters to life. I look forward to more from this author. 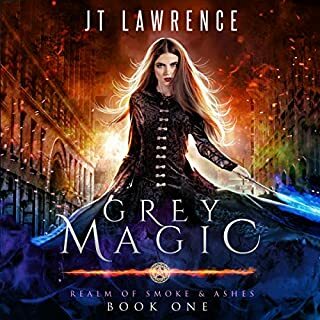 JT Lawrence holds you spellbound throughout the entire boxed set! She never loses the thread of the characters in all the stories. Roshina Ratnam does a great job of narrating. Brought the characters to life. This is one hell of a series and I loved it! The storyline is unique and has every thing you can think of (Nerves. Fear. Memories. Love. Friendship. Betrayal. Deadlines. Cults. Religion ...) and the narrator is wonderful. The Narrator, Roshina Ratnam is awesome! It makes such a difference having a book set in South Africa read by a South African – I just love her accent and could listen to her all day! In this first book of the main trilogy, we start off immediately after the prequel finishes but this time are more focussed on Kirsten’s story .. and what a story it is! It’s hard to describe the journey that she goes on with her friends, other half and Seb without giving anything away and I really don’t want to do that because I truly think that this is such a great story that you have to discover it for yourself. This book really has it all and it is the most gripping tale – I honestly listened to it in one sitting. That ending though .. I mean, you realise you’re getting towards the end and you’re thinking about the fact that there’s a third book and you just can’t seem to tally the two in your head and then BLAM! It’s sorted and obvious! So you will know how much I was enjoying this series .. and the finale didn’t disappoint! All the questions you have are covered right until the last sentence of the book and then you’re left thinking .. WAIT WHAT?! I’m not sure if there are any plans to write more but I for one would like to think there might be as I would love to learn more about it all. 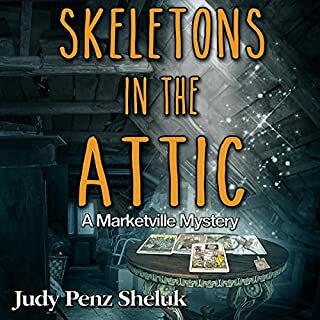 I really enjoyed this series and can definitely see myself re-listening to it now that I know what happens – sometimes you see things in a totally different light when you have all the answers and it can make a second reading a lot of fun! It took me a little to get into the South African accent but once I did it was almost impossible to put the book down. JTLawrence writing style is unbelievable, you can totally get into the characters, feel what they feel and understand everything that goes around them. No disappointment Guaranteed on this one. I full heartedly without a doubt recommend this audiobook for all. Even so that I got this audiobook for free I believe that my review was honest all the way. Book Three An ActionPacked Finale! When Kirsten realises that everyone on the list before her code is dead she finally begins to believe her life is in danger, and she is going to get to bottom of it. In this book you really get a feel for the world they live in. One where the ordinary people will never believe what is happening . That’s what Keke and Kirsten are there for, they make a great team. This action packed sci-fi with our heroes tackling an evil corporation and winning. This is told from Kirsten's pov, so we really feel for and the strength she has to show to survive. We also meet some more heroes in this book, you will have to read to find out who. I don’t know what to say, I'm shell shocked! This final book in the series was action all the way. Most of the action takes place in 2036, and the twins are sixteen, well Mallie is 16 but Silver is not quite there. No judgements please, but if I tell you I've read all of these books, I've also listened to them all separately, now I've listened to them as one big box set, you'll be forced to draw one of two conclusions. Either I have the memory span of a goldfish, or, these books really are something very, very special. I assure you it's the latter. This story simply takes my breath away. I can't explain, because I don't possess the genius of JT Lawrence with words, but it's like it's real life in the future. All the gadgets, the way of the world, everything, it's so clever and credible. I love Kirsten, Keke, Seth, Silver, Mali, even Betty-Barbara. They're like my family. The whole story is so creative, so mind-bogglingly brilliant. Then, just when you think you've got a handle on how this future works - BAM! and your brain is fried when everything you thought you knew and understood is turned upside down and inside out. Alongside the exquisite writing, the pace of the story is phenomenal, you definitely need to sit down when you listen or you'll be exhausted. By book 3, you'll be lying down, mopping your brow and gulping water. When you've finished the entire set, you'll be convinced someone slipped you something in your drink. IT WILL MESS WITH YOUR HEAD - BIG TIME!! I was all overcome and totally and completely "WTF!!! No way!". I pray that JT Lawrence stays on the side of the angels, because if she decided to go dark, we'd all better watch out. If the When Tomorrow Calls box set was a lager, it would probably be the best lager in the world. Awesome, mind-blowing, enthralling, captivating, fabulous and fantastic. Buy the books today, you can thank me later!!!! Great sci-fi series that is full of adventure and has a strong female lead. An incredible near future story! I loved these stories which feel really different and evolve nicely. I really loved the vision of the future. The tech as well is really cool! I loved the elements that the tech gave to the story from the start where its interesting to taking a really important part in the story progression. Also really solid characters. A great pace to the story which mixes a good level of detail and description to immerse you in the story but also a sense of progression with good momentum. Really compelling characters throughout with a good solid lead. I had already read and reviewed books 1&2 so started listening when book 3 began. At the start this seemed to jump around a little but soon settled into its pace. I was NOT expecting that ending, that totally floored me! I can usually spot a twist coming so have to applaud this one. Well written, well narrated, thoroughly enjoyed. Thank you. What an amazing ride! Roshina Ratnam brings Kate and her family and friends to life with a great narration and JT Lawrence gifts us with and perfect story full of action and ethical questioning on a cyberpunk world! Really great!! I listened to all three of these books in record time I think! The overall idea for the book is very believable, you could see our near future turning out like this - a bit Blade Runner, a bit leftover 21st C -type racism, politics and big business all wrapped up in Illuminati-type control conspiracies, fueling fears and divisions for financial gain, religious fanatics with a grain of insight mixed up into obsession...but could they know something we don't? It's a long listen - there are bits where there's a lot of background story, which was also well written. My preference is for a little less of this, but it certainly didn't stop me listening - hint, it's all relevant to the story. The listen is very easy though - the narrator is excellent and has just enough of an 'exotic' South African accent to lend intrigue to the story. Loved the use of slang and the lead character's synesthesia - these were woven into the story really, really well and brought in wonderful visualisations. It's written from the female POV, but with plenty of male POV in their too. Good strong characters you can root for and identify with as well as ones you wish you too could pick up a virtual diamond-tipped arrow and get involved in the action with.